Foam Board Insulation - MGT Insulation, Inc.
Our THERMAX™ brand insulation is a rigid foam board insulation, which can be used for interior and exterior applications. Its unique fiberglass reinforced core makes it the most fire-resistant foam board insulation on the market. It has one of the highest R-values available (R-6.5 at 1”), which means it retains heat better than any other foam board insulation during cold weather! 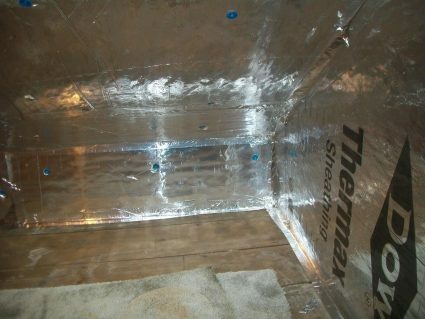 Foam board can be used to insulate almost any part of your home. Is Foam Board Insulation Right for Me? At MGT Insulation, our highly trained professionals conduct a FREE insulation evaluation with a thermal imaging test to determine your home’s energy efficiency. Then, we work with you to decide whether THERMAX™ foam board insulation is right for you. We also remove old, unwanted insulation from your home to ensure your house is expertly insulated when our job is finished!